The Canon T6s takes the Rebel series up a notch. With its 24.2 megapixels sensor, the Canon T6s shoots excellent images with tons of detail and accurate colors. The higher ISO performance is also magnificent despite, the higher resolution. The enthusiast DSLR also features a versatile autofocus system, plus improved Live View focusing features and more enthusiast-like controls. Its straightforward functionality is ideal for an enthusiast DSLR shooter. It also brings more advanced features and performance from higher-end cameras. Therefore, it can satisfy more experienced photographer as well. Just one glance at the Canon T6s is enough to set it apart from its predecessors. It’s on the top deck sits an LCD info panel. 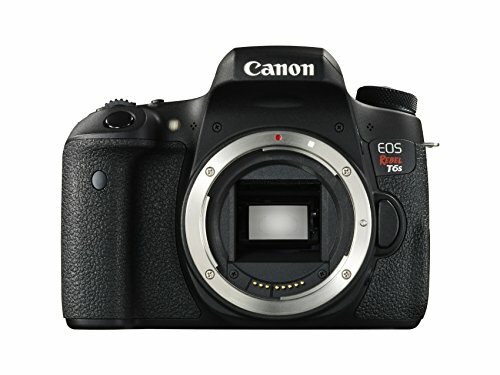 This enthusiast camera comes with this feature which had been reserved for Canon’s mid-range and professional cameras. And on the back deck is another first for Canon Rebel T6s. The rear-panel four-way controller is replaced by Canon’s Control Dial interface. It is a beautiful commonality that will make it easier for the Rebel T6s to serve as a second body alongside a higher-end Canon model. The Canon Rebel T6s can automatically disable the LCD monitor when you bring the viewfinder to your eye. It is because this enthusiast camera comes fitted with a proximity sensor located above the eyepiece. The Rebel T6s also sports a single-axis electronic level function. It gives you several live view and movie mode capabilities not found in its more affordable sibling. Rebel T6s can adjust focus between frames in burst mode live view shooting. Use this to capture high dynamic range movies, and to digitally “zoom” movies during capture. You can also crop the sensor window from which the video feed assemblies. Canon Rebel T6s boasts a brand-new 24.2-megapixel CMOS image sensor. 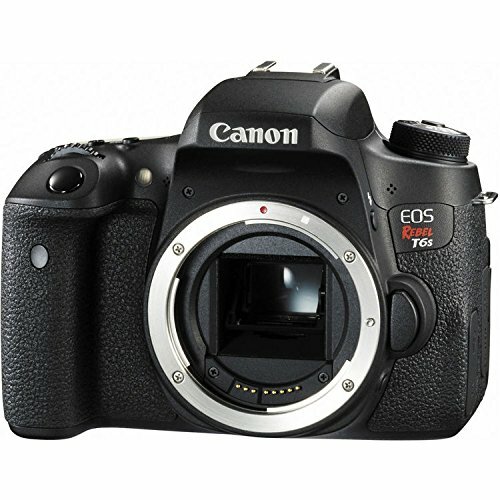 It gives the highest resolution ever provided by a Canon APS-C format DSLR. The output is handled by a DIGIC 6 image processor, making its first appearance in a Rebel enthusiast model. Together, the pairing provides the same ISO 100-12,800 with additional 25,600 boost sensitivity range. Plus, five frames per second burst rate as in the earlier Rebel T5i. Despite a one-third increase in the total pixel count. 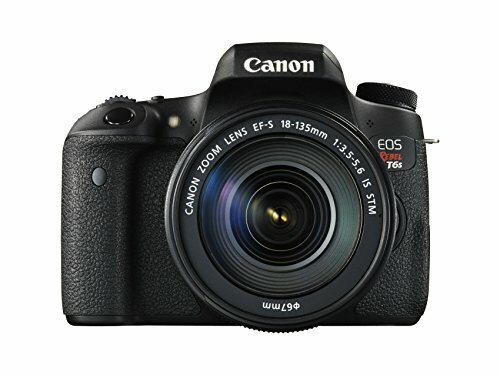 The Canon Rebel T6s is quite capable, though it doesn’t have many of the flashy, popular video features offered by its competitors. Putting those aspects aside, the video quality itself is good, and the touchscreen interface and articulating LCD is very handy and works well. The Rebel T6s brings resolution and low-light performance in line with its 2015 peers. The 19-point, all cross-type AF system is a welcome upgrade to the line, but is limited in its coverage and isn't good at following subjects moving around the frame, though formidable live view AF can somewhat make up for these deficiencies. Handling is excellent due to a fully articulating LCD, twin dials, and a top LCD.